So, we’ve been doing this whole backyard garden thing for a while now. Every year we add a little more ground or another raised bed to expand our already, rather large vegetable garden. Along the way, we’ve picked up some great tools and even made a few of our own to help keep the work to a minimum so we an sit back and enjoy the fruits of our labor. a spade – Essential for shoveling soil and helping to move large amounts of topsoil or chicken poop. drip watering system – This was a gift for my husband last year during a VERY dry summer. We didn’t want to run sprinklers all the time, nor was it good for the plants. Having strategic water on the plants when they needed it literally saved our bacon (or veggies). 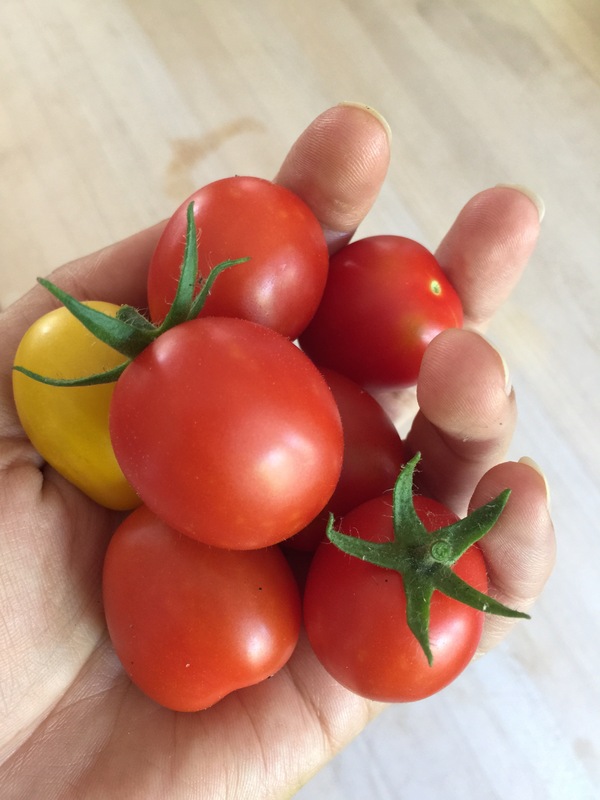 terra-cotta pots – We inherited most of ours from friends and family, but nothing can beat them for growing tomatoes and herbs. We’ve actually stopped planting seasonal flowers and coopted them all for vegetables. Is that taking it a step too far? 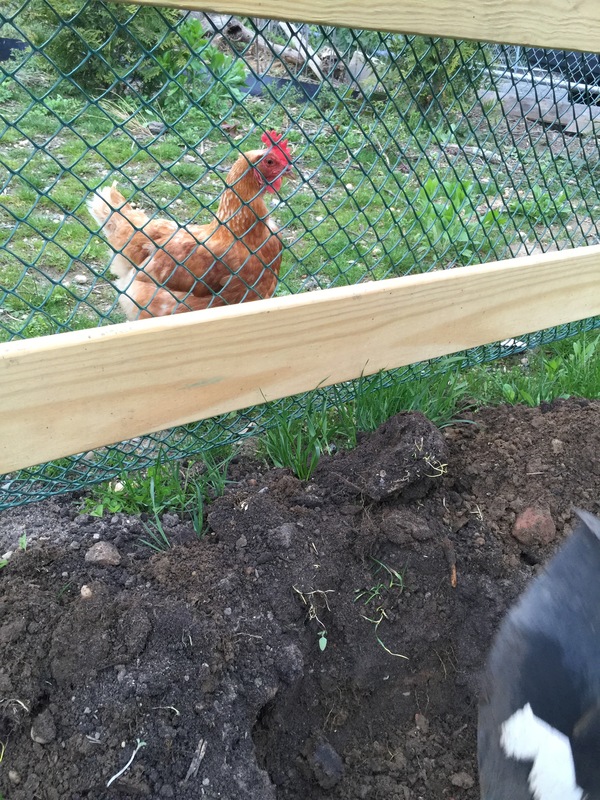 chicken poop – Easy to source since we have our own flock of dirty birds, but seriously…this makes a great addition as compost! Having some great compost is life-changing if you plant your vegetable garden in the same area every year. wine barrel – No explanation needed? 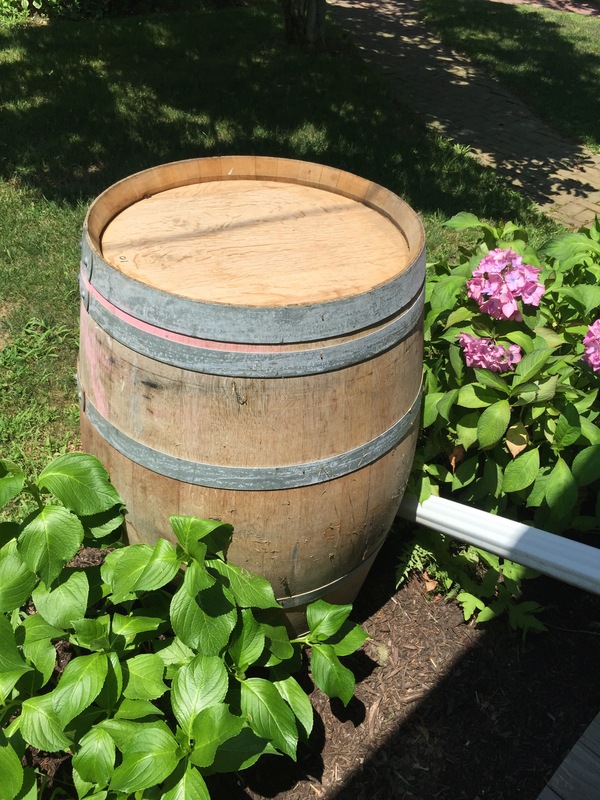 Sadly, this one is retired from its wine making days, but will continue its life as a rain barrel. We’re also pretty stoked that we’ll be a bit more conservative about our water supply. weed barrier – The squash plants always seem to overtake our raised beds, so we’ve been planting them directly in the ground these days. The week barrier makes a huge difference in keeping the weeds controlled while the young plants gain traction. Next up, we’ll be working on our greenhouse so I’m sure I’ll be adding to this list as time goes on! What are some of your must have gardening items?